New Hydrant & Water Line Work Project Location: South Woodstock, Vermont Type of Work: Utility Trenching & Installation Year: 2011 Project Summary Utility trenching in South Woodstock, in order to install a new yard hydrant and water line that crossed beneath several other utilities. 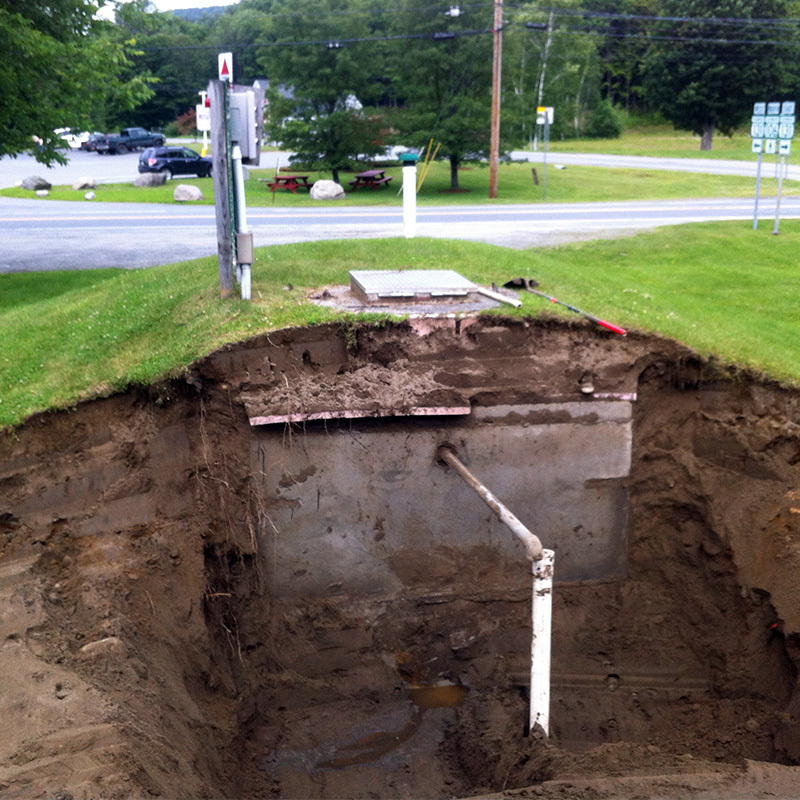 Exploratory Digging & Repair Project Location: Weathersfield, Vermont Type of Work: Utility Trenching & Exploratory Digging Year: 2013 Project Summary Exploratory digging in order to locate a water leak that was emptying an underground water storage tank at a local ice cream stand. A leaking fitting was found and replaced by a licensed plumber. 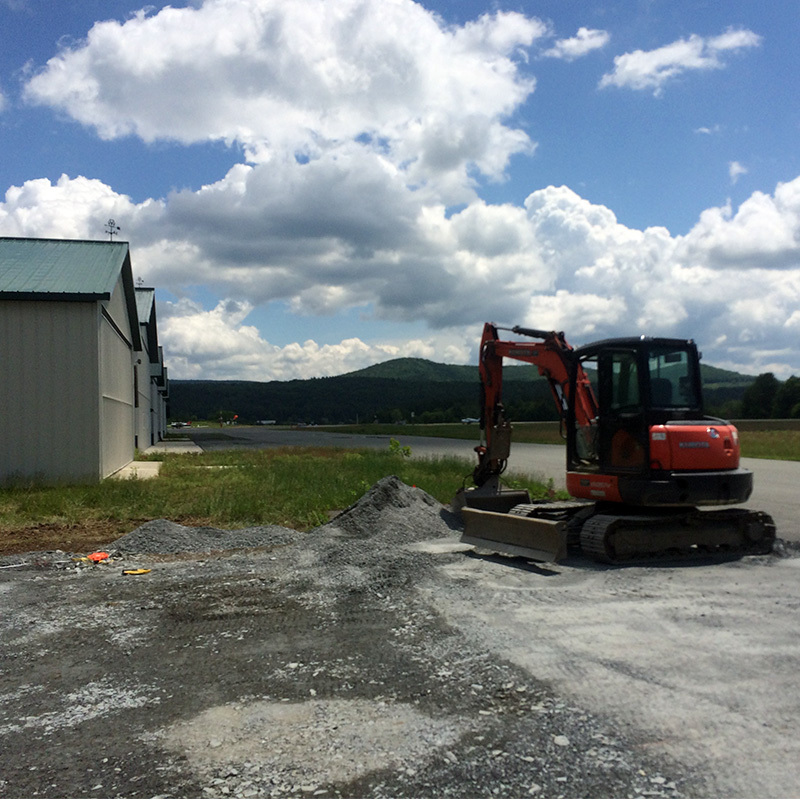 Site Work for New Airplane Hangar Project Location: Hartness State Airport, N. Springfield, Vermont Type of Work: Building Site, Utility Trenching Year: 2015 Project Summary Site prep for a new airplane hangar at Hartness State Airport. 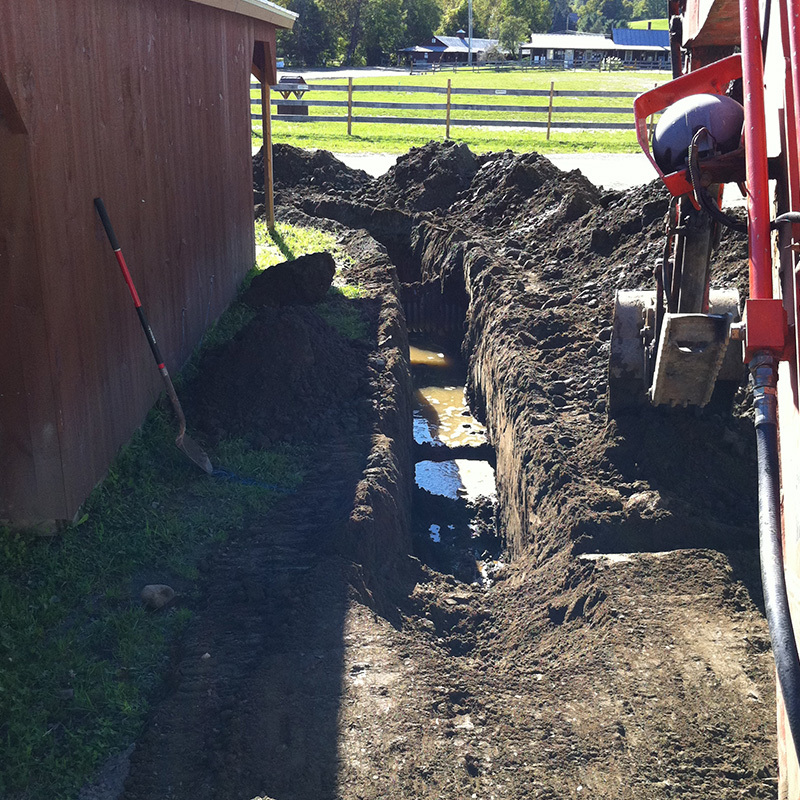 The site work consisted of leveling the site, importing structural fill, prepping for concrete, and trenching for power and telecom. 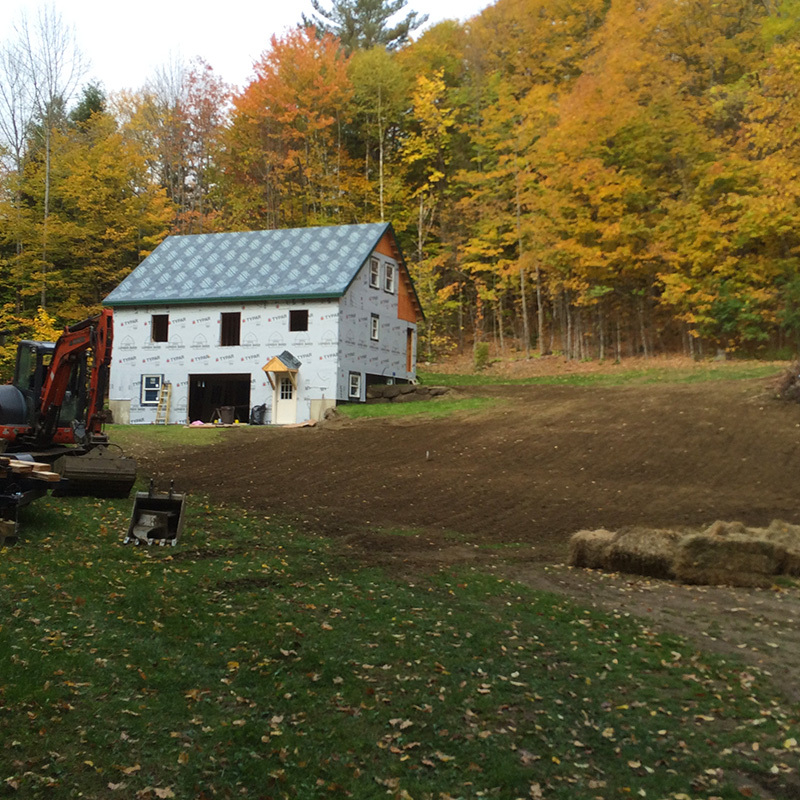 Complete Construction of New House Site Project Location: South Woodstock, Vermont Type of Work: Building Site, Septic System, Utility Trenching, Drainage Work Year: 2016 Project Summary Prep for this house site consisted of land clearing, digging the cellar hole, prepping for the foundation, slab, utilities, and installing the septic system.